un’opera fatta di plexiglass che contiene 10.000 euro in banconote da 50.00 euro venduta a 10.000 euro. solitamente chi acquista l’opera(collezionista ecc..)spera in molti casi che l’opera acquistata mantenga il valore o meglio ancora che il suo valore aumenti nel tempo. Acquirenti che acquistano l’opera x l’emozione che trasmette e altri x investimento pecuniario. Sarà l’acquirente decidere se la mia mazzetta diventerà opera d’arte quando si troverà di fronte la decisione di cambiare o meno i soldi. 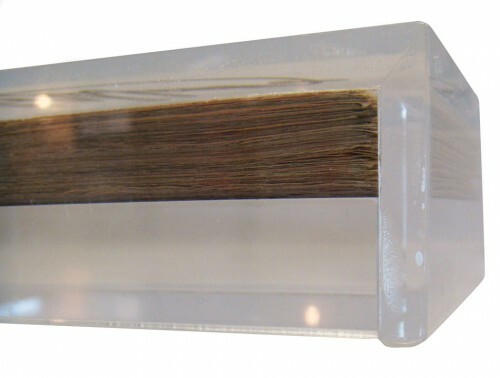 A work made of plexiglas that contains 10,000 euros in bank-notes of 50,00 euros sold at 10,000 euros. A work that doesn’t give emotions, usually who buys the work (collectors ecc…) very often hopes that the purchased work of art keeps its value, or rather, that its value increases as time goes by. Some buyers purchase the work because of the emotions that it transmits and others for investment resons. 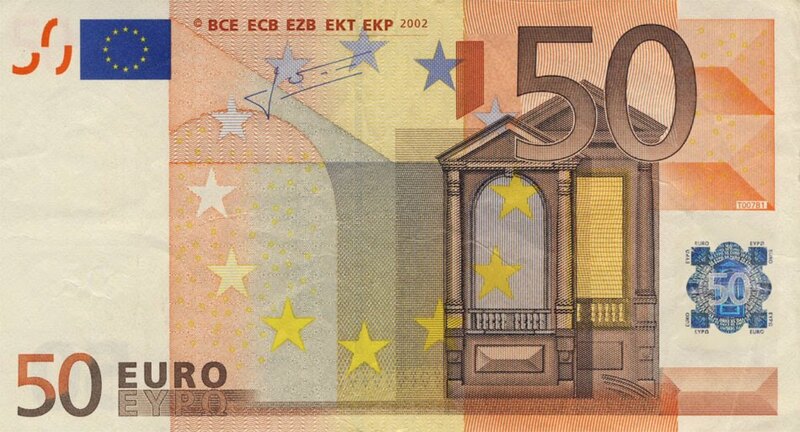 The artwork gains value when the subject-matter of the work itself loses value due to the currency change. 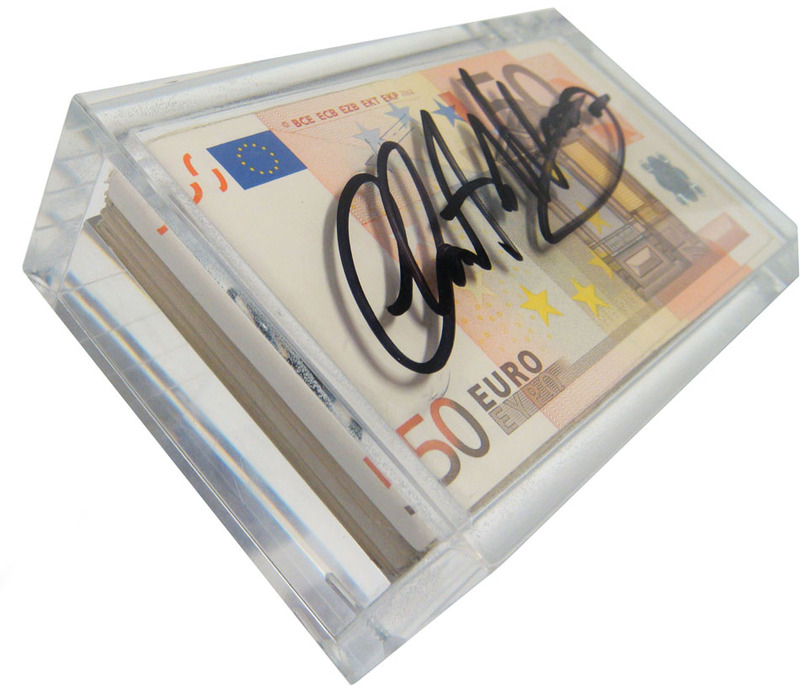 My lump of money will become a piece of artwork when the buyer has to decide whether to exchange the money or not.